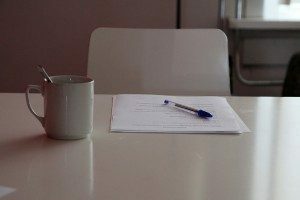 Why have I have been asked to leave my job and sign a settlement agreement? It is a horrible experience to be sat down by HR and told that your company wants you to leave but they are prepared to give you money to go quietly. This may come completely out of the blue. Or it may happen part-way through the disciplinary process, after alleged misconduct, performance or attendance problems. These problems may be the real reason; they may be trumped-up charges or the employer may be using them as an excuse. It may be a kind gesture at the end of the redundancy process. It may just be a personality clash or a personal hygiene issue that the employer doesn’t want to address directly. You may never know the real reason. Is this like a compromise agreement? It is the new name for a compromise agreement. If you sign it, the agreement stops you bringing tribunal and court claims against the employer and entitles you to the sum of money on offer. This should be fair compensation for any employment-related claims you might have. The usual claim that the agreement protects the employer against is unfair dismissal. But the employer will often want to draw the line under discrimination, claims arrears of pay and a host of less common claims that are never seen in practice, just to ensure that it is in the clear. If the employer were to dismiss you without a settlement agreement and you won a tribunal claim, you would be entitled to compensation and both parties could face a lengthy tribunal or court battle, which is hassle that your employer wants to avoid when you leave. Why do I need to see an employment solicitor? To stop employers pulling the wool over employees’ eyes and getting them to sign away their rights without understanding what they are doing. This is how the law protects the employee – an employer can’t rely on a document that signs away certain rights unless a qualified legal adviser has advised you what it says and what it means. The legal adviser will need to counter-sign to show they have given this advice. How long will it take? How much it cost? It may take only an hour or two for your lawyer to set up a file, meet with you, sort out the red tape, advise you, deal with the payment and confirm the advice in writing. The employer reimburses you for the reasonable cost of doing this (a Birmingham employment solicitor will typically charge £250 to £350 plus vat) if you sign the agreement so it doesn’t cost you anything. First, you are the client and you are liable for the cost of the advice if the employer doesn’t pay up. We have never seen this happen. Second, if you don’t sign the agreement, your employer will not pay for the legal advice. This puts you in a catch-22 situation if you don’t know that you will sign the agreement before you seek the advice on whether or not to sign it. Finally, the legal fees paid by the employer only cover advice on the “terms and effect” of the agreement – what it says and what it means. In practice the legal adviser will always include some fixing of technical drafting points and maybe some negotiation over the amount. The employment history that led to this is complex and you need advice whether to sign or what is a fair value given that employment history. You want to negotiate about the amount on offer. You end up not signing. Should I sign? How much should I want to walk away for? You should only sign if the amount on offer adequately compensates you for giving up your legal rights. If the employer couldn’t dismiss you and show the dismissal was fair, you should be offered compensation for being unfairly dismissed, which could be between a few months and up to a year’s salary, depending on how long you would be likely to be out of work. You should factor in your whole salary package when taking advice on the amount you should sign away your rights for. This includes bonuses, life assurance, car allowance and other perks. In theory, you go back to work as if nothing had happened. Your employer may try to tackle the underlying problem in a genuine way. Or they may redouble their efforts to use the disciplinary process to get you to leave in a way that the law considers fair, in which case you would have been better off accepting the agreement. In practice, returning to work is difficult because this episode is bound to damage the employment relationship. If telling me I’m not wanted damages the employment relationship, don’t I have a claim for unfair constructive dismissal? No, the law allows the employer to put this agreement to you without you being able to rely on it in a claim for straightforward unfair dismissal. The judge would refuse to allow it in documentary evidence and refuse to let you mention it in your evidence on the stand. Putting the agreement to you was an act of discrimination. You weren’t given reasonable time to decide what to do. The employer is also deprived of this protection in those less common claims that are not straightforward unfair dismissal, such as discrimination or unfair dismissal relating to breaches of certain employment rights like working time or whistleblowing. So if you were offered the agreement when you have these claims, it may be that the employer has strengthened your legal position. However, another legal rule (‘privilege’) stops you from relying on negotiations in any kind of dispute. Legal privilege doesn’t apply though if this agreement was put to you out of the blue (i.e. when there was no ‘dispute’ relating to your employment). What does the settlement agreement say and mean? What your final day of employment is. Which employment claims you will no longer be able to bring, perhaps in a long list. That you have taken legal advice and who the adviser is. It will contain lots of legal boilerplate jargon that the law requires and that lawyers conventionally include such as legal jurisdiction. Which elements of the payment are given tax-free. This includes the tax-free allowance of £30k of compensation to do with the end of the employment relationship. Compensation for discrimination before the beginning of the end of the relationship is also tax-free. Which elements of the payment are taxed. This includes parts of the payment that can’t be described as compensation, such as salary and some payments in respect of your notice period. That you bear the responsibility for tax to be paid on the settlement amount. That certain rights are unaffected, such as rights to sue for job-related injuries or pension rights (these are not really the sort of claims that disgruntled employees bring). That the agreement is confidential. Or that the amount is confidential. Or that the events leading up to it are confidential. But you should be able to tell your family, the taxman and future employers at job interviews, if they promise to keep it confidential too. You don’t have to accept this ‘gagging clause’. Why you left, eg for redundancy or that you left by mutual consent. What the position is with any restrictive covenants in your contract or under the settlement agreement. That you give up positions such as directorships or rights such as shareholder rights. That you are not allowed to say anything about the employer which casts it in a poor light, on Facebook or in person. If you accept this, it should go both ways. That you have to go on ‘garden leave’ for a period of time. That you are not aware of any wrongdoing on your part that could have led to a departure that is cheaper for the employer. That if you breach the agreement you have to repay the settlement amount. When you will get payment. That you will be paid up to your last day (otherwise you lose your last month’s salary!). That your legal fees will be reimbursed. That tax is paid on the correct elements if you are promising to pay any tax due. If I sign, can I still bring any claims? 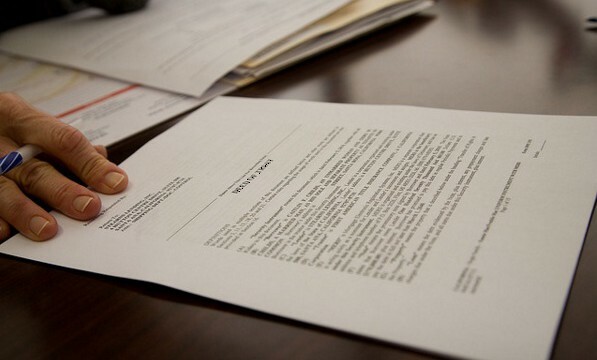 Not all employment claims can be signed away, but they are not many. These include certain TUPE rights and maternity rights. ‘Subject to contract’, s111A and ‘without prejudice’ – what do they mean? Subject to contract’ means it is not binding until all parties have signed it. Above, we referred to legal privilege, the rule that stops parties telling the judge about negotiations in a legal dispute. ‘Without prejudice’ is a label that lawyers put on letters and agreements to show they believe this rule applies. s111A of the Employment Rights Act is a legal provision a bit like the ‘without prejudice’ rule. Our blog post on a 2016 case explains this paragraph in a lot of detail.